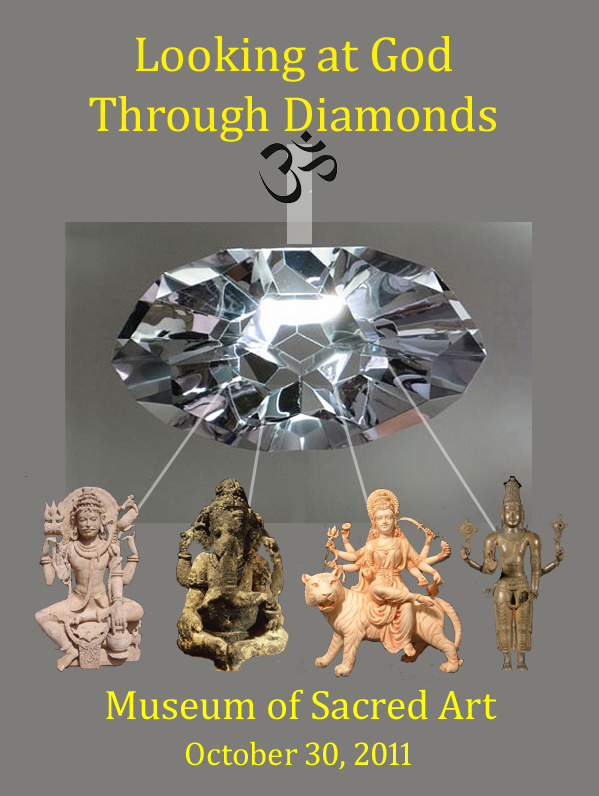 An exhibition looking at the gods and goddesses appearing in Indian Art. In the first major renovation of a permanent wing, a new exhibition is being installed in the Hindu wing. The opening date has not yet been announced. Beginning in 1867, Spain decided to settle Alte California as a response to Russian settlements moving down the coast and the threat of English speaking colonists arriving from east and west. Four presidios or forts, and 21 missions, were spread out along the coast from San Francisco to San Diego. Working with the military and settlers were Franciscan missionaries who gathered native peoples from diverse backgrounds into these missions. 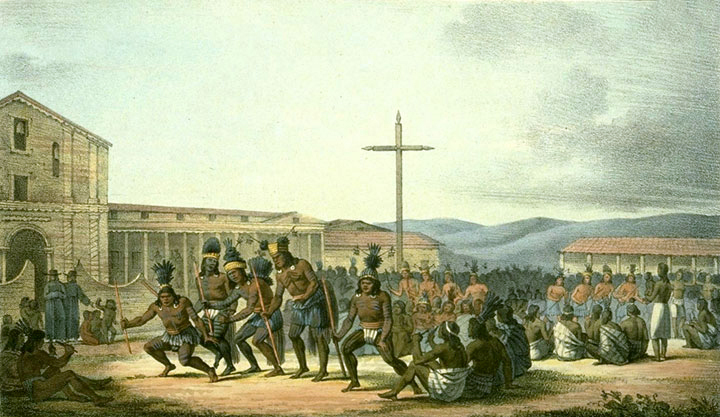 The colonization system as designed was bound to cause conflict between the military, settlers, missionaries and native peoples. The Indians suffered under the system but fared even worse after the mission system collapsed. Most of the churches of these missions survive today in some state of reconstruction and have inspired architecture and the imagination since. The exhibition looks at the history and architecture of the four presidio/missions of San Diego, Monterrey, San Francisco and Santa Barbara as well as the mission of Santa Clara. Another short term exhibit was one on St. Catherine’s, Mount Sinai, in the Christian wing of the museum, as background for a pair of workshops. The second was held in the exhibition itself. Theophany, Spiritual Light and Transfiguration grew out of questions during the trip to the virtual Saint Catherine Monastery. 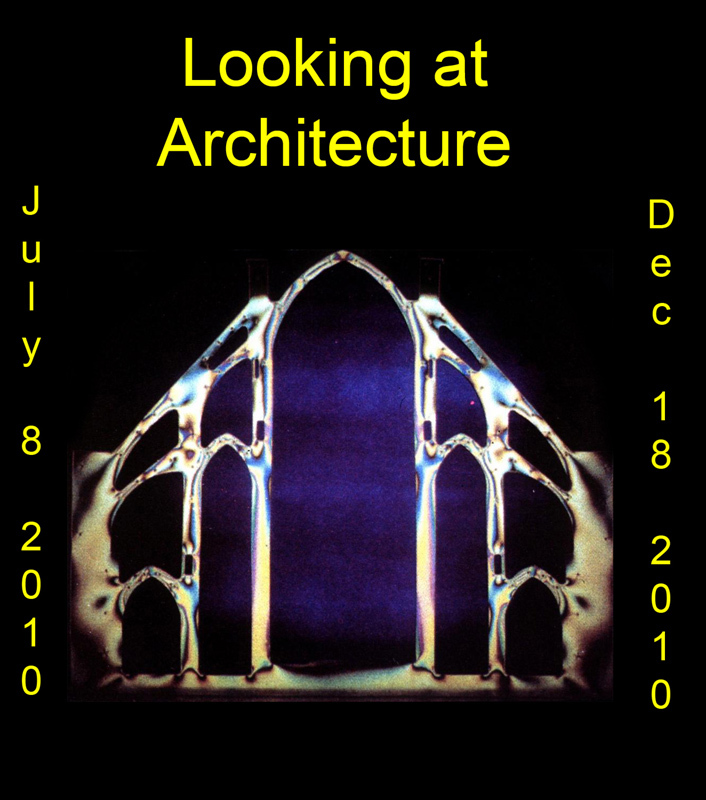 The Looking at Architecture a major exhibition on various ways to understand architecture. Two buildings were featured, Frank Lloyd Wright’s Falling Water and Mies van der Rohe’s Barcelona Pavilion. Each of these buildings had been reconstructed as virtual models in Second Life and avatars had the opportunity to visit those while viewing the exhibition. Plans, models, sections, elevations, etc. were available for each. A second aspect of the collection was a look at various kinds and styles of architectural models that were created for various reasons throughout history. Physical models of the second life museum also were on view with the history of the client/architect relationship that resulted in the virtual Museum of Sacred Art. The Solstice Exhibition was a very short exhibition coinciding with the summer solstice of 2010. The June Art History Workshop met in the exhibition space to discuss art relating to the solstice. 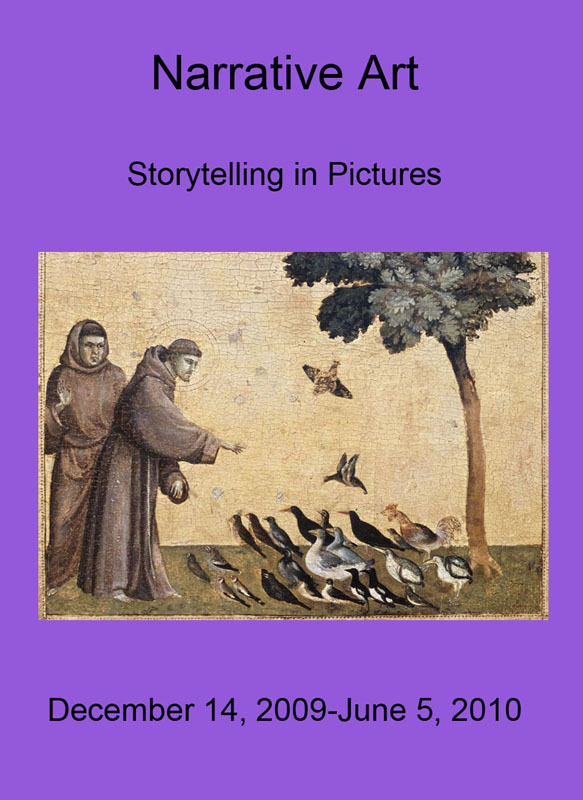 The Museum of Sacred Art is opening with the virtual equivalent of a blockbuster show called “Narrative Art, Storytelling in Pictures”. Peoples, cultures or traditions choose to tell stories that are a window into their thinking. Many of these tales were limited to oral narration and are lost. Still a large number have made it into the world’s literature. A smaller number of these stories were put into pictorial form. It leads one to wonder about what was illustrated and what was not. Why did the Assyrians leave visual representations of the power of their kings and why do we have no narrative images of the Sumerian creation or Gilgamesh stories? Why did the Shinto artists never illustrate their stories of creation and Amaterasu? Why did the Buddhist stories of the tales of Guanyin or Tara never get told in pictures? The Narrative Art exhibition will not answer any of these questions but hopefully will inspire others. The land on which the Hall of Appearance was sold and the exhibition dismantled temporarily. A new museum has been built in Bieup to give the exhibition a more permanent home. The new installation is expected to open in early December. Some of the works like the Devandrashika Hindu Temple, the Hindu Laksmi Temple and the Buddhist Land of Bodhi, all wonderful sites are gone now. Other works have moved or have been altered. Among the new works are Mont Sainte Michel, the Cologne Cathedral and a traditional 19th century synagogue called Zeide Kamp. It is tempting to think of virtual worlds as an emerging media. Virtual worlds offer new ways to create and explore art. Some of our most treasured monuments have been reconstructed in “Second Life”, the most popular of the virtual worlds. These include the Sistine Chapel, San Francesco in Assisi, Saint Catherine at Mount Sinai, the city of Rome, Islamic, Christian and Jewish structures in Jerusalem, Sultan Ahmet Mosque in Istanbul, the Forbidden City in Beijing, and a virtual recreation of the entire old masters wing of the Dresden Gemaldegalerie. Unfortunately these manifestations can be fleeting. Some monuments such as the Crystal Palace and a three-dimensional Van Gogh exhibit already have been removed. To think of the virtual worlds only as new media misses the point and limits the educational opportunities. These architectural monuments are more than three-dimensional showpieces. An individual’s “avatar” can visit these places, move around the space, interact with people there, and even virtually use the buildings for their original purpose. Many of the staff in the Visual Resources Collection, along with members of our Second Life “Art History” group, have been thinking about, and discussing these issues. We have been offered the opportunity to explore the issues in a virtual exhibition that will open in the Hall of Appearance in Rieul in Second Life at the end of January. [The exhibition building belongs to the Play as Being group, an initiative of the Kira Institute (http://www.kira.org)]. 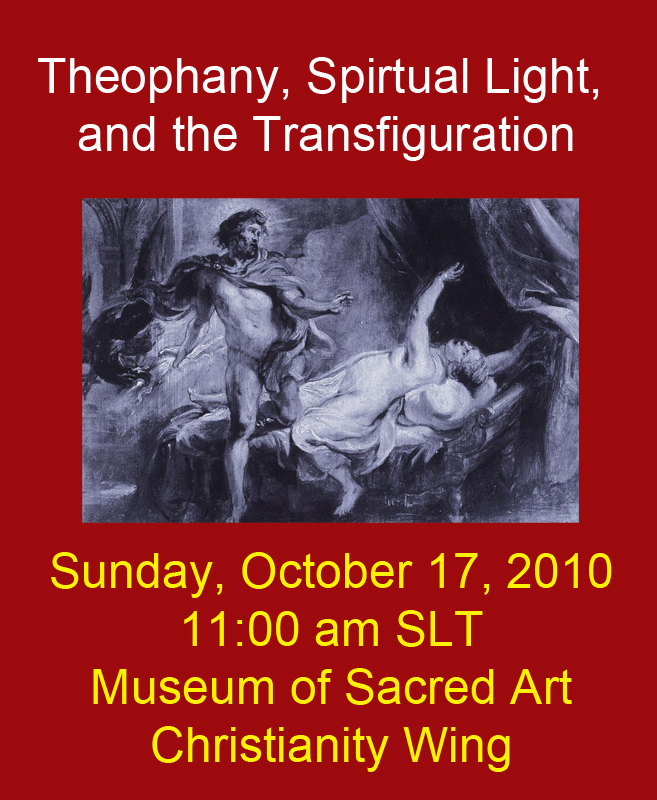 The exhibition will be called “Art and the Sacred in the Virtual World”. On one hand the exhibition will be a virtual catalog of many of these monuments, offering one convenient entry point. The exhibition will compare the second life constructions with the real life counterparts. But what happens when many of the real life barriers of exhibiting architecture are removed? So far real life architectural exhibitions have been limited to photos, plans, drawings, models and maybe architectural components. What if one could teleport to the actual building as part of the exhibit, and then return, and then to another building, and so on? How does this add to our experience? Can we begin to think about comparative spaces? How do the spaces relate to real life counterparts? How does space relate to the functioning of the building in the virtual world? Can a virtual construction help us understand anything about real life buildings?